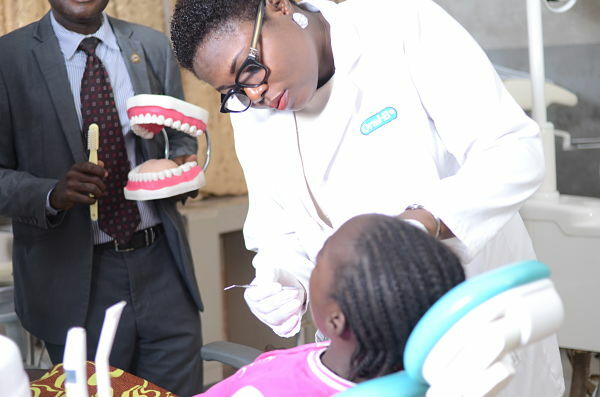 The department of Preventive Dentistry comprises Community Dental Health, Paedodontics and Orthodontics Units as it is presently constituted, These Dental Specialties are formally recognized by the National Postgraduate Medical College of Nigeria (NPMCN), West African College of Surgeons and the Medical and Dental Council of Nigeria. The training programs fulfill the educational requirements for dental surgeons wishing to complete the fellowship examination administered by the faculty of Dental Surgery of the NPMCN and WAPMC. A School and community based dental screening programs, Oral health education. C Pulp therapy, stainless steel crowns, fluoride treatment.